LPDA-A0121 is an ultra-wideband log-periodic dipole array directional antenna that covers 400 to 6000 MHz with high gain, all under a rugged radome. The LPDA-A0121 directional wideband log periodic dipole array antenna (LPDA) is primarily designed for high-power applications. It covers a frequency band of 400 to 6000 MHz with a gain of greater than 8 dBi. 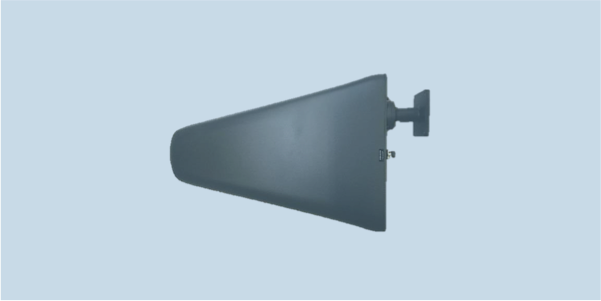 The antenna is completely encapsulated in a radome and provided with a sturdy mounting bracket.